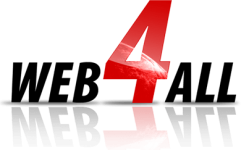 Located in Paris, Web4all is French community host which offers serious, stable and efficient service since 2006. The different services offered by them include Web Hosting, Email Hosting under Zimbra, Virtual Private Server, and Outsourcing etc. Support is available through email with a very fast response time. They provide a solution within hours of opening a ticket. At Web4all, security is taken very seriously and thus, to prevent any mishappening, the different accommodations are kept separate from each other. They provide the option of changing offers at any time. All in all, Web4all is a hosting provider which has its own hosting portal and provides fast and reliable service to its customers.